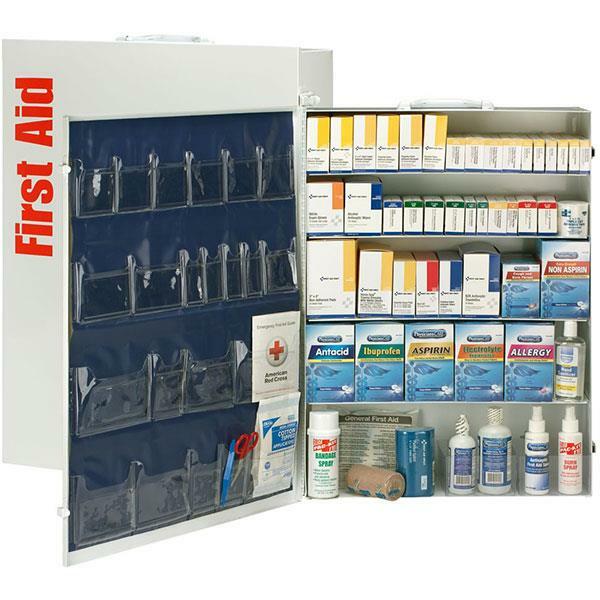 Featuring solid-steel construction, this cabinet complies with ANSI 2015 standards and meets or exceeds federal OSHA regulations. It also comes with a list of kit contents for easy ordering as well as a carrying handle for convenient transport. Wall mountable too. 21"L x 26 1/2"H x 6"W. Contents subject to change without notice.